Event organizer Julio Zelaya ’12 works with participant Katie Odell ’22 at the Still We Rise Conference to explore the multiple meanings of "movement" in one of the breakout sessions. “You are exactly what this movement needs,” Julio Zelaya ’12 told participants of the Still We Rise conference on September 30th at Gustavus Adolphus College. The event brought community members as well as current Gustavus students and alumni together for a day-long workshop that explored the intersection of activism and the arts. Murphy, whose day job is a program developer for the Girl Scouts, felt an event like this was necessary because of her conviction that the world needs both activism and healing. She sees art as a way to do both. From there, the idea took hold. She and Zelaya began to reach out to various people, and everyone responded with a resounding yes. All participants began the day together with a welcome, which included singing, a group empathy exercise, and addresses from Zelaya and Gustavus Professor of Dance Michele Rusinko. Participants then split off into sessions for the morning and afternoon. 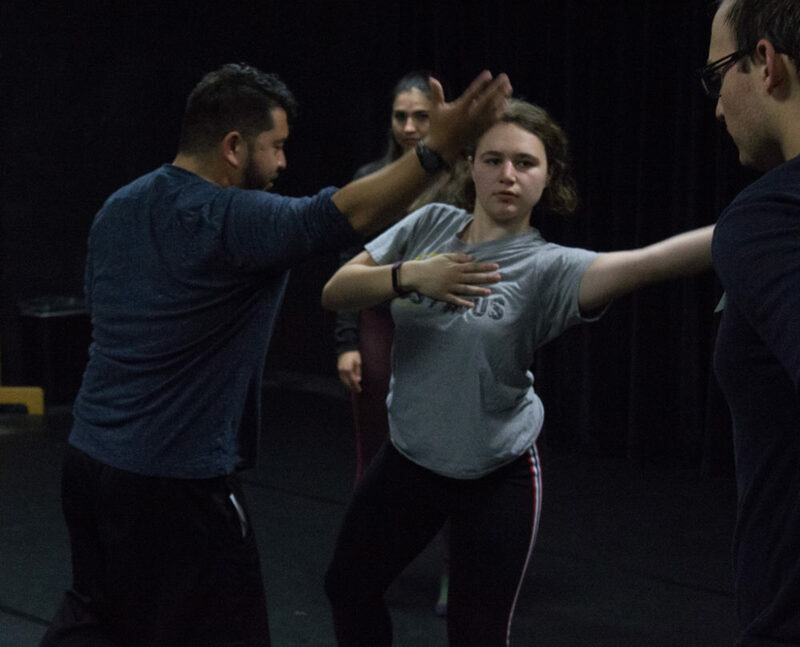 The breakout sessions ranged from screen printing to dance movement where facilitators worked with participants to help them express themselves through movement and to support each others’ needs. At the end of one of the sessions, Murphy and Zelaya asked participants to say one word that described their experience. Participants responded with words like “powerful”, “connections”, and “surprising”. Following the morning sessions, keynote speaker June Wilson ’89, a philanthropic advisor and consultant, addressed the conference. Wilson has experience in both arts and activism, as the former CEO of Dance Today and the Executive Director Emerita of the Quixote Foundation. At the conference, Wilson spoke about her experiences with the arts, especially during her time at Gustavus. While she says she went through some difficult times, she found comfort in the dance studio. “It was the studio that literally saved my life,” Wilson says. She also touched briefly on the history of different activist movements. Wilson hopes participants realize that they too can be part of the movement for change. While the world today has a lot of uncertainty, she believes there is hope, as long as people work together across different issues. “You’re not alone. We’re not alone. We stand with each other,” she says. At the end of the day, everyone gathered in Christ Chapel to share what they had created during the breakout sessions. Gustavus alumna Kathryn Dudley ’17 came to the conference with no specific expectations. Halfway through, she says she could feel a positive change. “I’m already feeling more inspired and connected to myself as well as [more aware of] how I’m interacting with the world around me,” she says. Currently, there are no additional conferences scheduled, but Rusinko hopes there will be other related events in the future, possibly expanding beyond the Gustavus campus.